Air Vice Marshal Peter Mills, Chaplain in Chief of the RAF, visited Cranwell on October 13 to consecrate the new Standard of 55(R) Squadron. Gp Capt Steve Townsend, Cranwell's Station Commander and OC Nr 3 FTS. It was then paraded in front of current and former members of the squadron, families and friends. Wg Cdr Steve Richards, 55's squadron commander said, "The time and effort put into the ceremony was well worth it to ensure our new Standard was consecrated and paraded in our 90th anniversary year." "The whole squadron was immensly proud to be part of a Standard consecration ceremony." 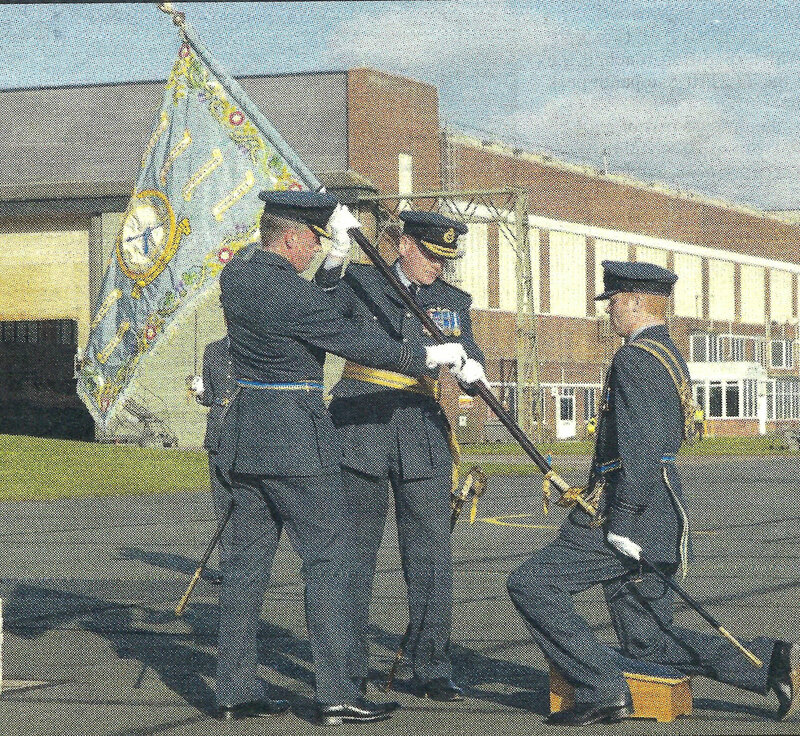 The ceremony was part of 55(R) Squadron's continuing 90th anniversary celebrations, marking its formation at Castle Bromwich, Warwickshire on April 27th, 1916. The old squadron Standard, that includes battle honours rom the Western Front (1917-18) Ypres (1917) Iraq (1920) El Alamein (1943) the South Atlantic (1983) and the Gulf (1991) (sic. later. Ed.) was awarded on September 9th 1943 and presented on July 20th 1962, at Honington, Suffolk by Princess Marina, the Duchess of Kent. It will now be laid up in St.Michael and Alll Angels Church at Cranwell. Music on the day was provided by the Cranwell based Band of the RAF Regiment. On the evening of the consecration ceremony a formal dinner to celebrate the Dominie's 40 years in service in the RAF was held at York House officers' mess. 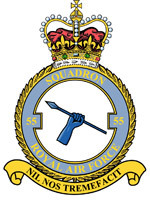 No 55(R) Squadron provides training for ab initio and refresher weapon systems operators and airborne specialists. It also provides phase three command and management training for non-commissioned aircrew. The squadron operates a fleet of 11 Hawker Siddeley Aviation Dominie T1 aircraft and plans to continue operating the aircraft until its retirement from service in 2015. From RAF News 27. October 2006.